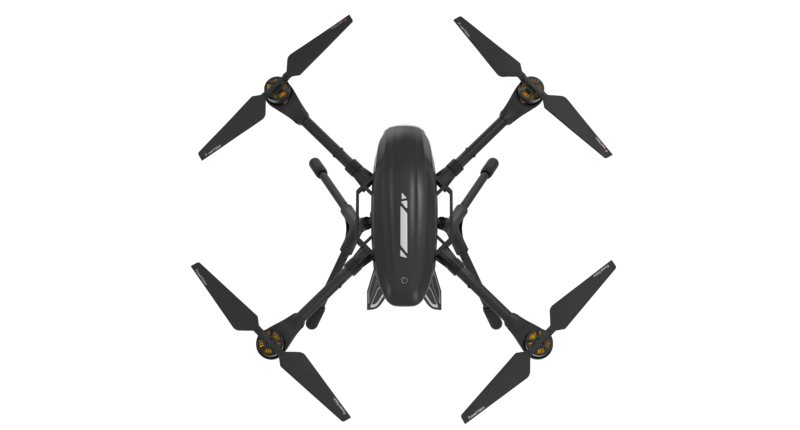 Las Vegas, September 7, 2016	(Newswire.com) - ​InterDrone - ​​​​​​​​​​​​​​​​​​​​​​​PowerVision Technology Group, a worldwide leader in UAV, robotics and big data technologies, and the maker of the recently launched PowerEgg™​, today announced PowerEye™​, an all-in-one flying camera designed for today’s professional and aspiring cinematographers. 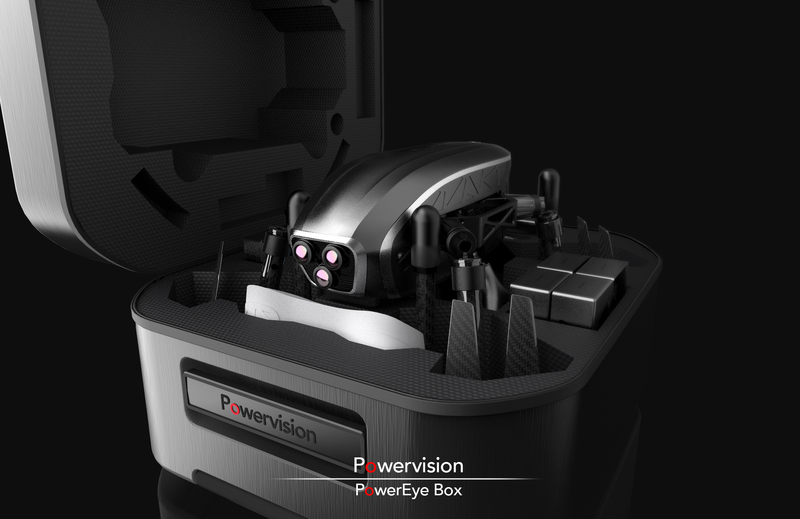 Delivering the ultimate in cinematographic control, PowerEye features PowerVision’s integrated Dual Viewing capability. Dual Viewing gives multiple users the ability to see video simultaneously from a First Person View (FPV) and a Subject Matter View (SMV). Using the Dual Viewing feature, a cinematographer has the ability to see what is in front of the PowerEye while in flight through a dedicated FPV camera housed in the nose of the aircraft. 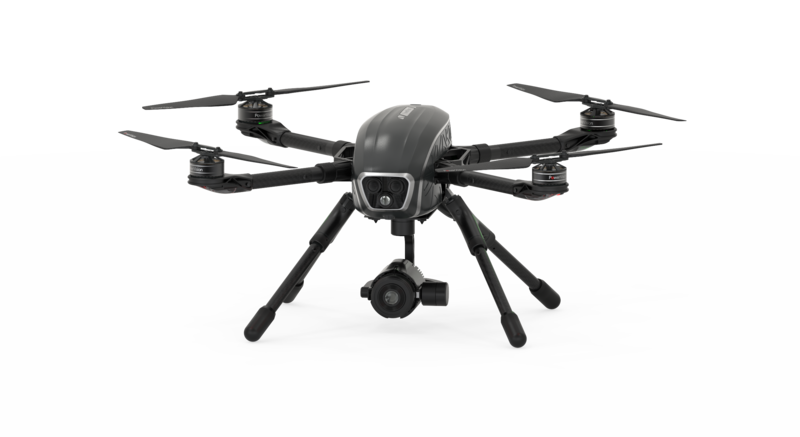 At the same time, the PowerEye’s gimbal-mounted 4K UHD or Thermal/Natural Light Switchable Camera can be directed independently to action on the ground or other areas in the sky. Using the PowerEye App, Dual Viewing can be managed by a single person using one mobile device in either a split screen or picture-in-picture mode (user selectable). It can also be managed by two people using two mobile devices with one person/device managing FPV, and the other managing SMV. Dual View is preferred or essential in a wide range of situations such as covering sporting events in stadiums; capturing a movie’s scripted action sequence in a city center; or tracking wildlife across a rugged landscape. PowerEye is available with two advanced camera options providing cinematographers and creative professionals with the ability to shoot in low light or with special effects. The first is its standard high-performance 4K UHD camera. The second is a camera that can capture images in both thermal and natural light. The PowerEye Thermal/Natural Light Switchable Camera comes with two integrated light sensors and two lenses. Using the PowerEye App, a one key touch allows the user to switch between the thermal or the natural light setting. Using the Thermal/Natural Light Switchable Camera, cinematographers can capture a spectrum of light not visible to the unaided eye. For creative professionals this has the potential to give an otherwise ordinary scene a surreal and dream-like quality. Until PowerEye, capturing thermal footage has not been available to the vast majority of cinematographers. The PowerEye will be available in late 2016. Pricing has not yet been released.